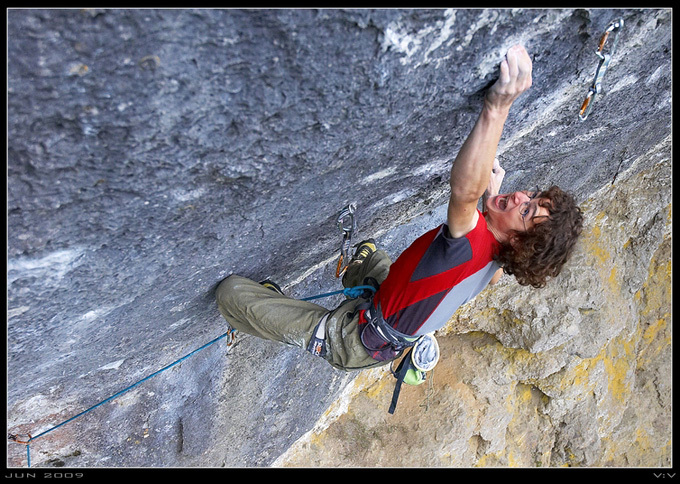 Who is Adam Ondra, a young man who by his appearance extended limits of modern sport climbing and raised it into a new level? What is the secret of his success? To find out that in more details we asked our users to generate various questions to Adam. As a result of our joint efforts this remarkable interview was appeared which is offered to your attention bellow. 1. How and when did you start climbing? My parents have been climbing for 30 years and they have been bringing me on the rocks since I was baby. Naturally I was very curious to try it as well. At age of three or four I used to swing on the rope when parents climbed some overhanging route and I really loved it. Soon afterwards I tried to climb as well, but maybe once a month one route on the rocks. I was simply too short. Since age of 6 I have been climbing frequently, when I grew a little bit and was tall enough to climb at least 6a. 2. Last year I could see your performance in the World Cup in Puurs (Belgium) (and captured video). It was amazing you were the only guy who sent final route to the TOP! What is the secret of your success? What is the role in that of your natural climbing abilities, experience, motivation and training? Hard to say, success depends on many factors I think. Firstly, I have big talent for climbing and had the best conditions possible to work on my talent thanks to my parents. I had possibility to climb outdoors all the time and to improve my technique and efficiency in climbing. Secondly, I became soon totally obsessed by climbing. If you train and climb by your heart and passion, everything goes way easier. What more? I do not know, maybe way of my climbing (fast, efficient and if everything is ok precise). 3. You are from Brno. We also know that two-times lead-climbing World Champion Tomas Mrazek is also from Brno and many other famous strong climbers are from your city. What is the reason of that? Are there some special conditions for development in Brno comparing with the other cities of Czech Republic? I do not know if this is the main reason for this trend, but we are more or less the only city in the country which has relatively good LIMESTONE area in its surrounding. Moravsky kras. The rest of country is full of sandstone, but most of it is not good for sport climbing although it is wonderful. Moravsky kras is very good school (but tough indeed) to start climbing because it is very weird and awkward type of climbing. The rock is very smooth, frictionless and footholds very slippery. One really get used to putting your feet precisely on the rock. It is hard to mention other reasons, because if you compare our training conditions indoors, you have to admit that it is better in Prague. In general, I do not think it is that is important to have a good super good training conditions, it is enough to climb in two or three different bouldering rooms and with strong will you can train very well, just as Tomas. But I have no doubts it is very similar in your part of the world. 4. You sent the most difficult routes in various European areas (from the recent, Marina Superstar, 9a+/b (Sardinia, Italy), Corona, 9a+ (Frankenjura, Germany), Xaxid hostel, 9a/+ (Misja pec, Slovenia) and others). Which one do you remember most of all? What is the most amazing for you in these routes? I remember very much Marina Superstar, because it was the main goal for 2009 that became true. Then of course Golpe de Estado, 9b, now, because I spent so much time to complete. It was question of patience; I started to be really frenetic at some point. And then WoGu, 8c multipitch. It was very memorable day, an incredible fight. I like the process of figuring out the moves (especially when they are tricky and unusual) and then trying to link. Slow, hard but steady progression. At some point you get to the point when you know you are really close to send it but it is a question of time catch the right conditions and shape. When I keep falling although I know I can do it is very frustrating and I do not enjoy it. But it is part of the challenge of course. 5. How the routes you select as projects are different in climbing style? 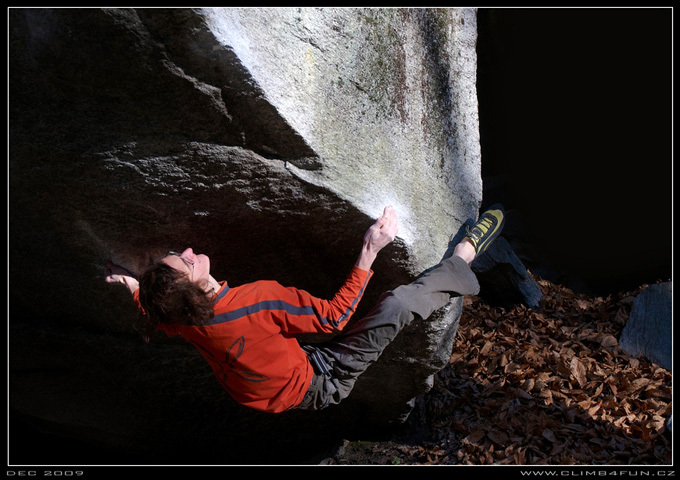 Which style of climbing do you like more (slab, vertical, slightly overhanging, very overhanging, roof, etc.)? On the other hand, which kind of routes turns out better for you, short and violent or very long and continues? Are there routes of 9a and harder which you tried but did not send because these did not fit to your climbing style, not “your routes”? I have always tried to be as much universal climber as it was possible. I do not avoid any kind of routes. But when I must say the style that fits me the most, then it is slightly overhanging wall with small crimps, lot of hinge steps and knee dropping. Regarding to height, I like the most middle height – about 20meters. Of course that I sometimes find a route that does not suit me at all, usually it is some kind of specific dynamic move - f.e. Mongo, 9a in Schleier Wasserfall. 6. Do you have any authorities in climbing? If yes, what would you learn new from their experience? Whether something remains in climbing that is not enough for you and that you want to get? I admire many climbers - Wolfgang Gullich for pushing the limits in sport climbing for a decade, Tommy Caldwell for his universality and especially 2 routes in one day on El Cap, Dani Andrada for putting up tons of first ascents, Chris of course... ?? I would love to bolt some multipitch first ascent ground up one day. 7. It is known and even generally accepted that, for example, in Rodellar (Spain), route grades are “light” and there you should think less about climbing technique comparing with some old-school areas in Austria and Italy. What is your opinion about that, what is the difference? When you downgrade (or upgrade) difficulty category of some routes do other climbers agree with your grading? It was big problem 4 or 5 years ago. But recently, the grades are getting bit stiffer. The most obvious cases were downgraded. Regarding to 9a grade, if we simplify it, the things in the past were like this: at first, Action Directe was graded by Wolfgang Gullich 11 UIAA, what was considered to be 8c+/9a in French grading. Therefore, when Alex sent Open Air, he thought it should be harder than Action Directe, thus he proposed only 9a. Around 2000, when it was generally accepted that Action Directe is 9a, everything was a mess. Therefore we had to and still have to upgrade and downgrade some routes in my opinion. Regarding to Spain, one has to add that most of the routes are endurance problems. Recent climbers have endurance on different level than 15 years ago, when the routes tend to be more bouldery and vertical. Maximum height was usually 20 meters, power endurance was the thing. 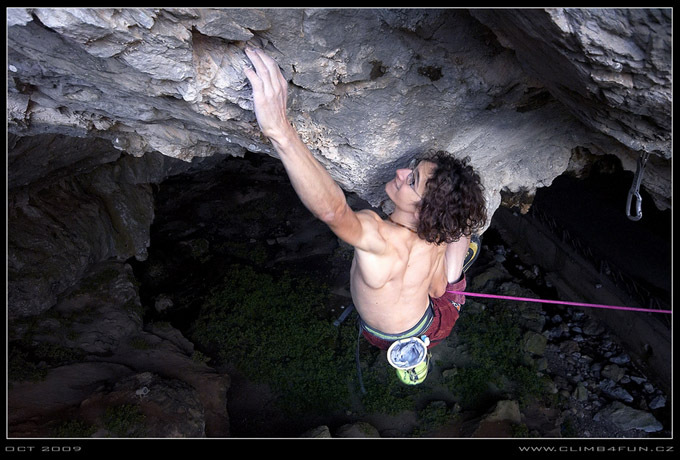 It is very probable that if some climber from middle of 90's had opportunity to try some average 8c+ in Spain of today, he would not find it soft. 8. When are you planning to seriously address routes 9b and harder? 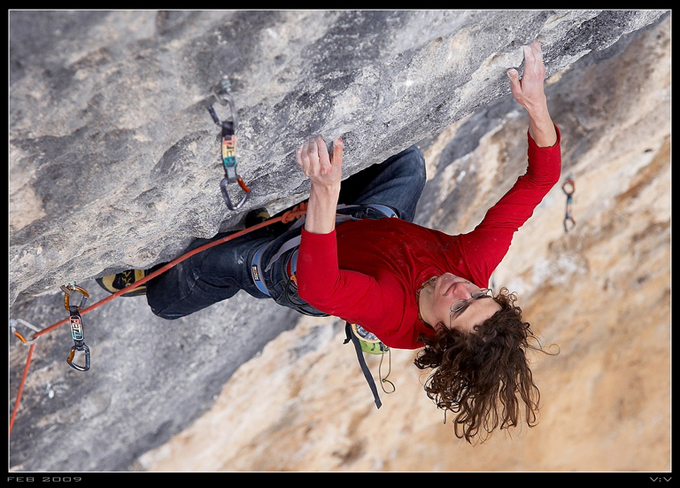 Will you try to send projects of Fred Rouhling like Akira or Salamandre which were graded as 9b (Top-10 most difficult routes in the world) or Chilam Balam, graded as 9b+? Very strange that until now none of the strongest world TOP-climbers did not try to repeat these routes. Pretty much right now I did one :-) Apparently, Akira and Chilam Balam were tried by couple of climbers. Akira was tried by Yuji Hirayama, Dai Koyamada and Dani Andrada. Dani told me he had done all the moves, but he was not motivated work on it. You have to admit that it is not the most beautiful route. I am not planning to go for this in near future. Chilam Balam was tried by Dani, Chris and Patxi. 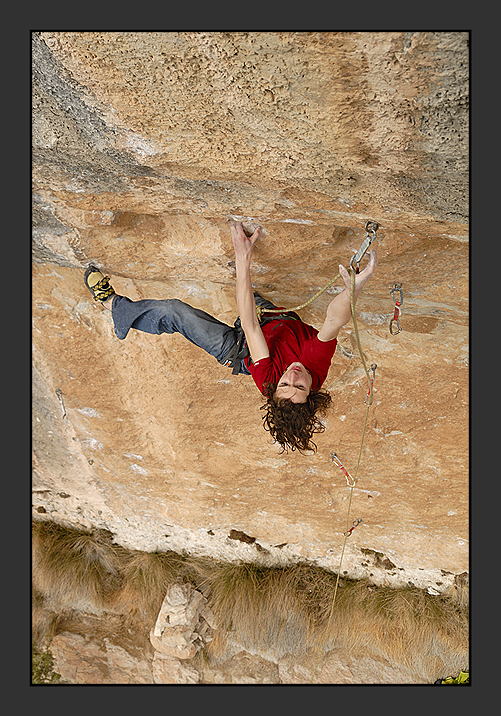 Patxi was too short for one sequence on the bottom, Chris did it with three falls and it should be 9b according to him. For this route I am quite motivated, it is stunning line. 9. 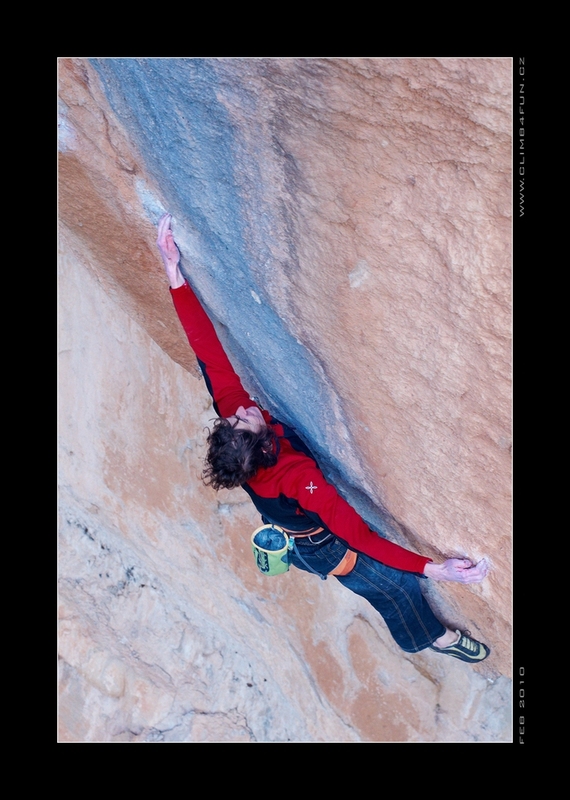 Recently you demonstrated very good results in bouldering (in December you flashed (may be first in the world) Dave Graham’s Confessions, 8B+ in Cresciano (Switzerland)). Would you like to take bouldering more seriously and participate in bouldering WC’s in future or bouldering for you is just a game, means to achieve better results on long routes? Yeah, this year I would like to participate in bouldering WC. It is good that the whole circuit takes like one month and half when I will dedicate to bouldering only and then the last stage in August. For me it is good to change the styles, it gives me tons of new motivation. The only difference is that lead climbing get boring slower. I could not be bouldering for half year but I could climb with rope for whole year, I need to feel the air underneath my feet from time to time. 10. 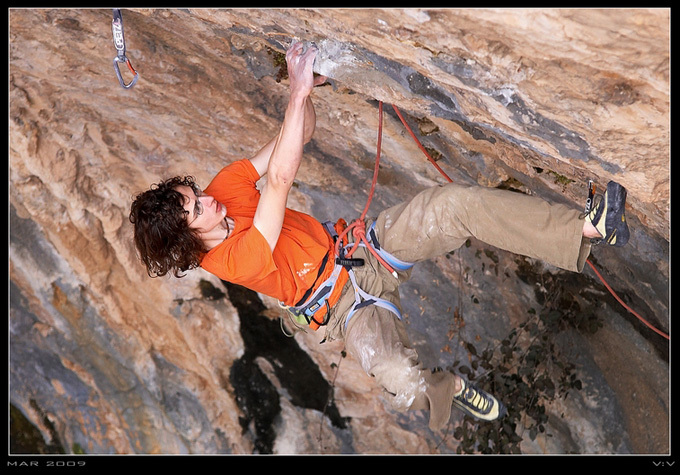 Obviously, sending of the hardest routes in the world on natural rocks and victories in WC’s require hard training. How and where do you normally train? Do you have any special training programs or you train more by intuition? What is your typical training schedule and what do you pay the most of attention? I train more or less just by climbing. How simple! I train on couple of small bouldering walls, where I train endurance and bouldering power as well. I rarely climb indoor with rope because there are not good walls enough in the city. The way I train depends on what I am training for. If I am preparing for bouldering, I do just lot of hard boulders. If I train endurance I do laps. I figure out usually 20move lap and try to climb 3 times. 60 moves are usually more than enough. Good trick how to become stronger is to use ONLY micro footholds for your feet. You work on your power and precise footwork at the same time. I do not train more than 3 days in a row. 11. Do you follow some certain nutrition diet or restrictions in your food? I care about what I eat and try eat in some healthy way and to get enough proteins and vitamins, try to think what would be good dinner for fast recovery and so on, but I do not restrict myself in amount of food. When I am hungry, I eat. I have advantage that I can really a lot and I do not put on weight. 12. How do you warm-up before hard routes? How do you adjust and push yourself for the hardest projects? How do you relax afterwards and how do you spend your rest days? How do you manage psychological stress after sending of the hardest routes? I usually climb one or two routes between 7a and 7c as warm up. It depens on character of the route. For example, if I climb one overhanging and juggy 7c, where it is all about endurance and no really hard moves, it is not sufficient warm up. I would still feel that my fingers are stiff. But on the other hand, some bouldery 7a with small holds can be sufficient warm up. I can motivate for the route quite easily, the more passionate about you are, easier it is to motivate yourself to go a muerte. The most stressed before the route I am when I am working on the route for a long time, for example recently in Golpe de Estado. The worst thing is that you know what to expect, you know some moves are pretty awkward and desperate, you cannot admit and go for without thinking too much, but to motivate at the same. Onsights or (probably for the most people surprisingly) competitions are easier in one thing – you do not really know what to expect. It is just you and the wall – no nightmares in your mind. I spend restdays by going to school when I am at home and learning, if I am on the trip, I read a book or magazines, belay friends or playing games. 13. Do you have any hobbies, for example other kinds of sport or something else? What else do you like except of climbing? Not really. I love to go snowboarding, but I have no time left to do so. So besides climbing and school I do not really do anything else. I like when I come from school and read a newspaper. From school subject I like history and geography. I also like play desk games (like Carcassonne). And to have a good dinner. 14. Due to fearless British, traditional climbing becomes rather popular. Have you ever wanted to try that? What about big-wall or alpinism? I would like to try it definitely some day, but in the places where it makes sense in my point of view. That is in the big walls, like on the El Cap. And if it is impossible avoid groundfall or death-potential fall, put a bolt. That is wise approach I think. 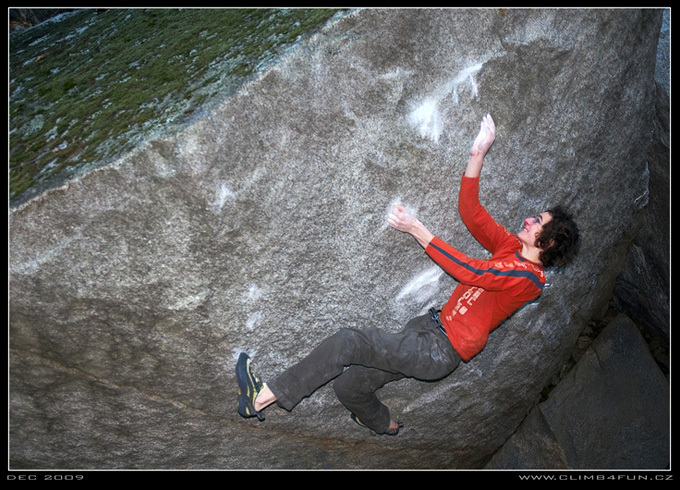 I am not so motivated to try something trad on Gritstone or similar areas, I do not like headpointing. If it is possible to protect with some level of safety on natural protection, why not, but I am not motivated to try something with ground fall potential many times with the rope from above and then lead it. 15. Recently, the International Olympic Committee (IOC) has ratified and recognized the International Federation of Sport Climbing (IFSC) during its Plenary Session at Vancouver (Canada). It means that now sport-climbing is Olympic sport. What do you think about that? How do you see climbing in Olympic Games? In which form it should be presented there? It does not mean that sport climbing Olympic sport, but there is a good chance to become Olympic sport from now. And I am extremely happy. As Marco Scolaris (chef of IFSC) said that climbing is the only natural movement (like swimming or running) that is missing on the Olympics. And I am sure climbing deserves to be there. And I hope it will be presented in all three disciplines. 16. Do you know climbers from Russia and Ukraine? What is your opinion about our TOP-climbers? Are you planning to visit Russia or Ukraine to participate in the competitions or to grade there the hardest projects on rocks? I do not know them very personally, but some of them are doing very well, especially on the World Cup. They are very good in delicate and weird boulders. Evgeny Krivosheytsev was talking with about Crimea; I might have a look at this peninsula. 17. Is climbing a tradition of your family? How do your parents have helped you (and helping in the present time) to become who you are now? For what do you appreciate them? Of course. My parents have even met during climbing. However, there are no further roots in climbing in our family. Parents have been supporting me because they climbed and thus I could climb too. Although, honestly I do not believe they would drive 1000 km almost every weekend if they climbed just alone... So it is also sacrificing for them. But I hope they have liked and will like this lifestyle. 18. Very interesting are some of your physical characteristics and achievements. What is your height and weight? What is your «ape index»? How many times do you pull up on two hands and on one hand (right and left)? Quite weak in pull ups, uh? Climbing is interesting sport. 19. 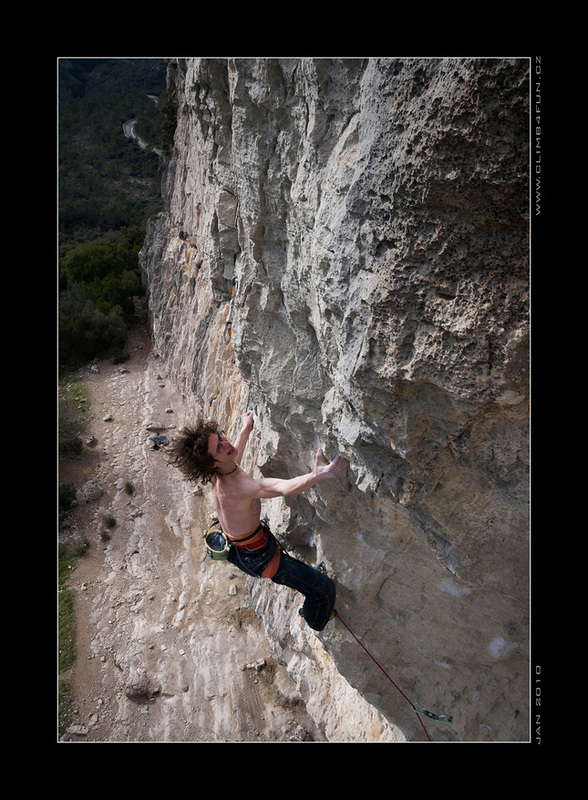 Finally, traditional question from our site, www.baurock.ru: what is climbing for you? We thank Adam heartily for valuable and detailed answers. 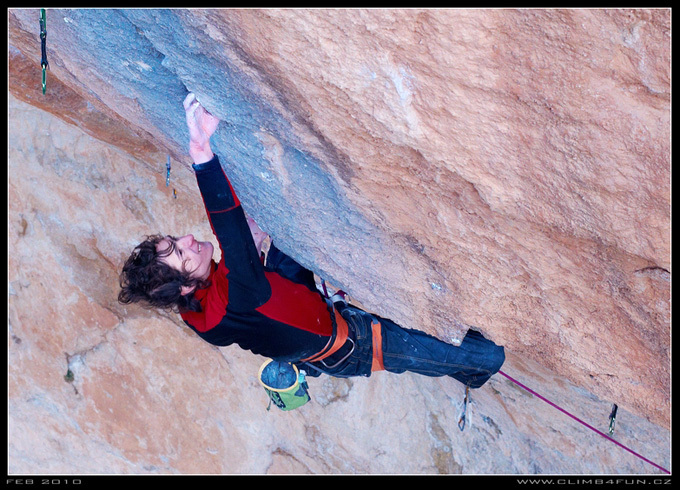 We wish him further continuous progress in climbing, new hardest routes and competition victories!